Departing Paris by minibus, you’ll travel through the scenic Normandy countryside, winding through quaint French villages and rolling hills. You’ll reach Pointe du Hoc, a portion of the Normandy beaches well-known for the heroic assault of the US Army Rangers. After free time to explore Pointe du Hoc, continue to the American Cemetery in Colleville for a visit to the final resting place of 9,386 soldiers from World War II. 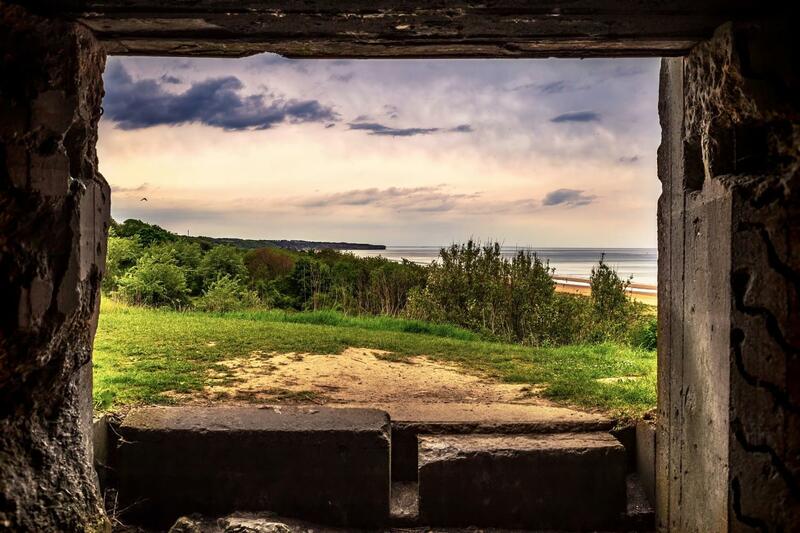 Omaha Beach, arguably the most famous of the Normandy D-Day landing beaches is your next destination; take time there to reflect on the enormity of its history before heading to lunch (drinks included) at the historic 13th-century restaurant Ferme de la Rançonnière in the village of Crepon. After lunch, you will continue on to Arromanches, a historic town known for its artificial port, which was built in less than 15 days as part of the Normandy landings to aid in the invasion. You can still see the floating reinforced concrete "Phoenix" constructions in the water. Finish your journey along the Gold coast to Juno Beach and the Atlantic wall before returning to Paris. Informative! great tour! Worth the drive from Paris! Absolutely breathtaking. We actually felt we were there on that June 6th landing with the fog so thick you could just barely make out the beach from the top of the cliff. Being with a small group of 6 was wonderful. I would highly recommend this tour. Our guide was excellent and very knowledgeable. The tour was emotional and very comprehensive. Danielle was extremely knowledgeable, pleasant, and aimed to please. On the way to Normandy, she gave up a history and then had a folder full of laminated pictures to help illustrate each event and place. I learned a lot. AND on the way home, there was an accident on the hwy which she handled with grace, even if it was a 2 hour delay and we had to go to a TURKISH toilet!! !.It was not her fault, but she took over.